Thinking About Renting Out Your Property on Airbnb? With millions of people now using the “Airbnb” method for holiday home rental, and an overwhelmingly high amount of people leaving positive reviews for the service, you might be tempted into thinking about renting out your second home or holiday home via the service. 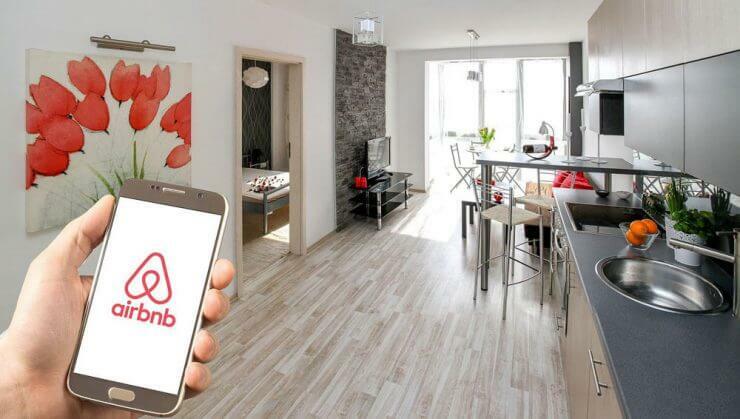 There are several reasons that Airbnb has become a popular choice for travellers worldwide. It opens up otherwise previously undiscovered neighbourhoods to tourism and Airbnb listings, on average, earn two to three times what the property would do in a long-term rental agreement. But before you rush to list your home on Airbnb or a similar website, there are a few things you should consider. Such as what happens if your home is trashed or your possessions are stolen? Does your insurance cover you for all eventualities? Can you sublet a rental property on Airbnb? If you rent your property, you will need to check your rental agreement to ensure that there are no clauses within it against subletting. Most private landlords do not allow subletting and most insurers don’t cover renting out rooms in your home. Even if your guests are well-behaved if you haven’t told your insurer you could be invalidating your existing policy. You should seek permission from both your landlord and insurer before subletting the property so that you have the right protection in place. Can you rent out a mortgaged property on Airbnb? Renting your property on Airbnb may even be a breach of mortgage terms. Almost none of Britain’s biggest lenders allow those with a mortgage to rent out the property on Airbnb without prior consent. Some of them also forbid short-term lettings entirely. So be sure to check with your lender before listing your property for holiday home rental. Do I need to carry out a fire risk assessment on my property? Local authorities that enforce fire regulations have no way of knowing if a property is being let on Airbnb but if you have paying guests staying at your property then you must carry out a fire risk assessment and also have that assessment available for guests to view. As an Airbnb host, if you rent out a whole house or flat, you must install smoke and carbon monoxide alarms. How to get the best price and cover for Airbnb insurance? Firstly you should give your current home insurer a call and speak with them about your plans. They may be able to adapt your current insurance policy for a fee, but check the small print and ensure that the policy covers theft or accidental damage from paying guests as many home insurance policies do not, which leaves a lot of things potentially still uncovered. Get a quote and then compare it with a specialist insurer that offers Airbnb Insurance, which is essentially a holiday home insurance quote tailored for you. You should be able to do this even if your current home insurer won’t upgrade your policy, but it is still worth getting a specialist quote regardless, that way you can be sure that you are getting the best cover for the best price. Specialist Airbnb insurance may even cover for when the property is empty between occupants or vacant during the colder months. Ultimately, the price you will pay, or even if you can get cover at all will depend on a number of factors. Are you renting out a spare room or the whole property? How often are you planning on doing so? Do you have any previous claims history? All of these factors will affect the cost of your Airbnb insurance. What is Airbnb “host guarantee” and “host protection insurance”? Airbnb provides their own Host Guarantee and Host Protection Insurance. The Airbnb Host Guarantee is not an insurance policy. It provides protection to a host for damages to the covered property caused by guests, there are however a lot of exclusions and limitations. The following is exempt from coverage under the host guarantee: loss of cash and other securities items such as jewellery, collectables and artwork, damage caused by pets, damage caused to shared or common areas and personal injury and property damage claims from third parties. Airbnb Host Protection Insurance is also available, this, however, is a very basic public liability policy that only covers you for third-party injury and property damage. Airbnb themselves encourage hosts to purchase their own independent Airbnb insurance for full coverage and peace of mind.